Phi Beta Sigma Fraternity, Inc., an international organization of college and professional men, was founded on January 9, 1914 on the campus of Howard University in Washington, D.C. by three students, the most honorable and noble A. Langston Taylor, Charles I. Brown, and Leonard F. Morse. Phi Beta Sigma Fraternity has established and run a variety of foundations, organizations, and institutions which follow the ideals and principles upon which this great fraternity was founded: Brotherhood, Scholarship, and Service. Giving those ideals practical meaning has made and will continue to make Phi Beta Sigma a great and dynamic fraternity. The principles are exhibited in the motto "Culture for Service and Service for Humanity." Phi Beta Sigma consists of men dedicated to enhancing and promoting systematic fellowship, justice, equal rights, and service to America’s communities. Being both a service and social organization, Phi Beta Sigma has many programs. The three national programs are Social Action, Education, and Bigger and Better Business. In order to implement these and other programs, the Fraternity works with organizations such as The National Boys and Girls Clubs of America, The NAACP, National Foundation of the March of Dimes, Birth Defects Division, and the American Cancer Society. Helping to shape, mold, and guide our nation and world’s young men has been achieved through our national mentor program, the Sigma Beta Club. 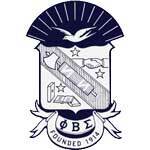 One of the main goals of Phi Beta Sigma is to be the leading pro-active community service organization. There is a great deal of work needed to restore the faith and hope to many ailing communities across the nation. Phi Beta Sigma will play a part in the healing process. International headquarters in Washington, D.C. was the site of the national headquarters for the Million- Man March which was co-sponsored by the Men of Sigma and the Ladies of Zeta Phi Beta Sorority, Inc.
100 years later, Phi Beta Sigma Fraternity has emerged as an international organization of leaders with over 100,000 initiated men and chapters in the United States, Africa, Asia, Europe, and the Caribbean. The fraternity is dedicated to providing services to not only members of Sigma, but to all of humanity.